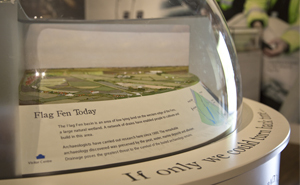 Flag Fen is one of the most important archaeological sites in Europe. They challenged Ugly to design an interactive to show their visitors how people have shaped the local landscape over 5000 years, and where significant artifacts have been discovered. 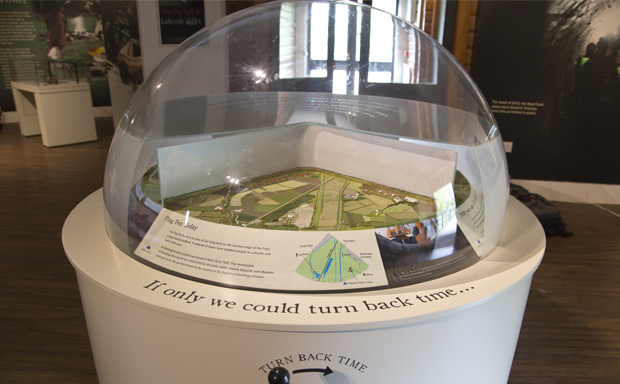 We envisaged an interactive model that would allow visitors to turn back time - literally! 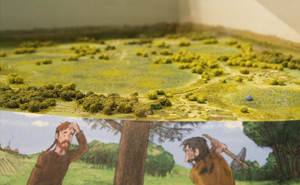 A model landscape would divide into quarters, representing a time period of the local area. 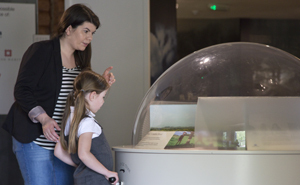 Visitors would turn a handle to rotate the model and see how people have constantly adapted to new conditions, and be encouraged to make comparisons between the ages. 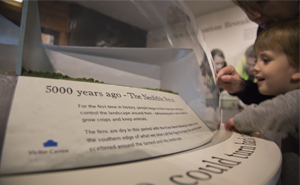 The finished design displays the development of the area from Neolithic settlements through to modern-day Peterborough. 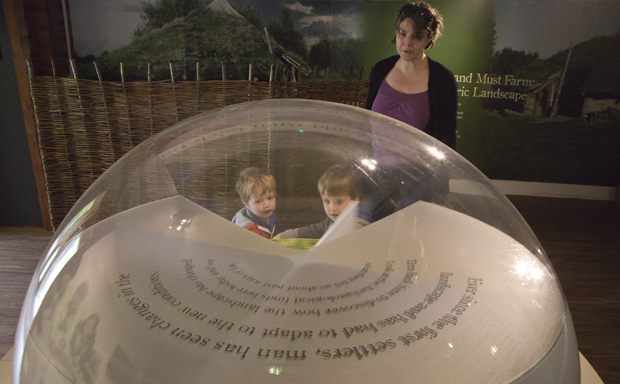 Our interactive is now a central point in the Flag Fen Visitor Centre.